This is our life right now. It doesn’t always go as we plan and it just is what it is. My wish is that we can learn to adapt to whatever God gives to us and that we can find the joy or the good in every single experience. I wish you contentment, whatever that looks like to you. Tonight we enjoyed just being home together. 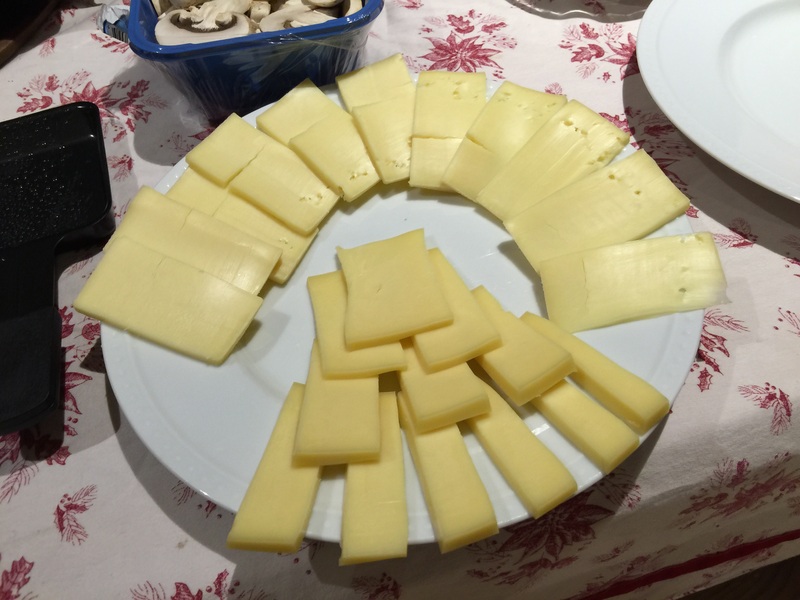 We had a raclette party that I hope we do every year. 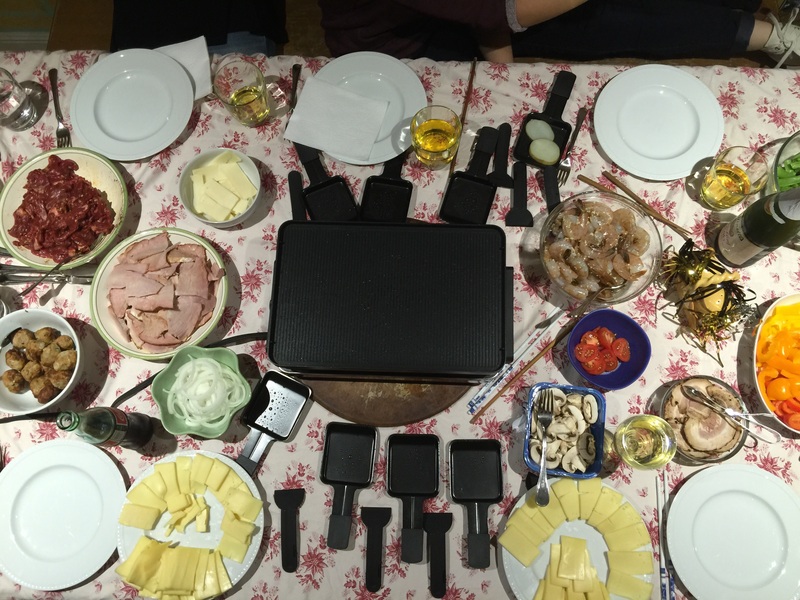 Thanks to PB for introducing us to the raclette maker back in Holland. We prepared steak, shrimp, ham, pork belly, chicken meatballs, mixed vegetables, sliced french bread, and raclette cheeses from France and Switzerland and milder melting Fontina cheese for the kids. 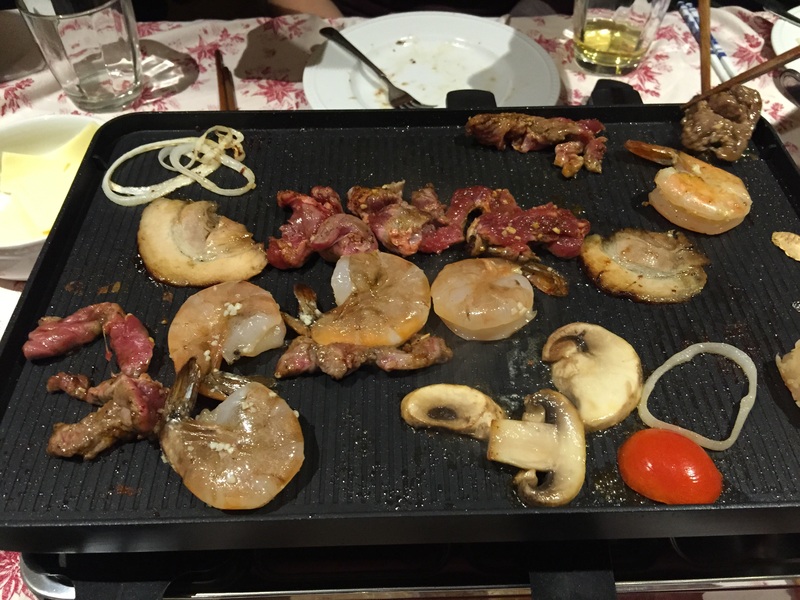 We had so much fun grilling, tasting and trying different combinations. This was definitely an experience we want to repeat and was so much fun sharing together. I loved being home and not worrying about drunk drivers, plus it’s so cold outside tonight. 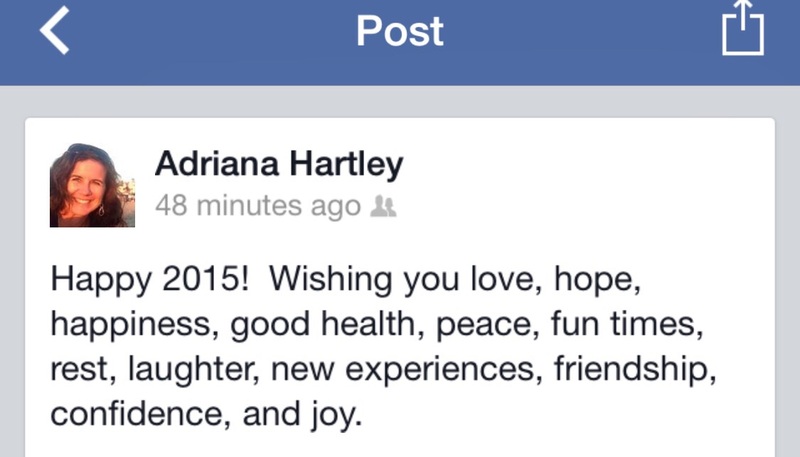 I am happy to be home with my loved ones, wrapping up the old and welcoming in the new. Happy New Year, BeLoveRs! Thank you for spending some time together. I wish you love and peace and may all your dreams come true. Consider what is good in your life, despite the struggles. Dream BIG and make bold mistakes. I love food. I love gathering fresh ingredients and mixing them together to create something delicious for people to enjoy. I love the art of cooking. I love the supplies and the way heat changes ingredients. 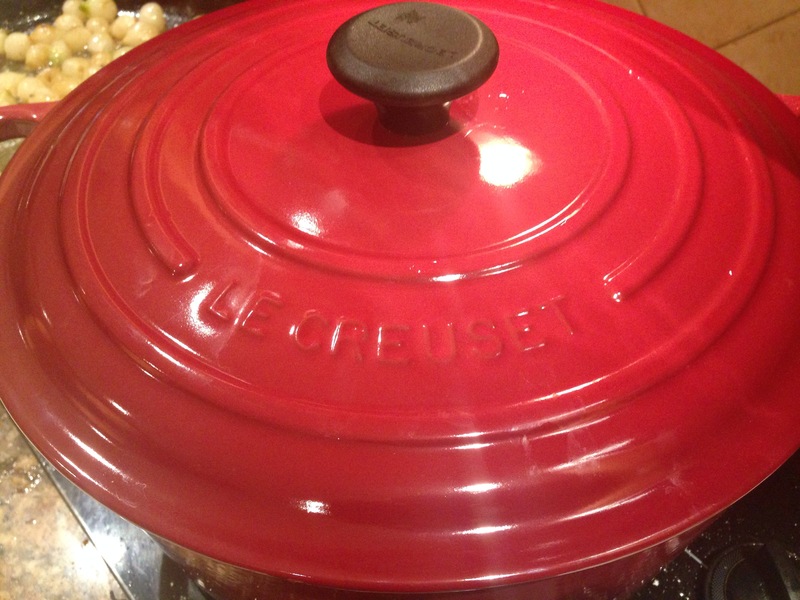 We just got brand new knives and my first Le Creuset Dutch oven that is so beautiful and fun to use. 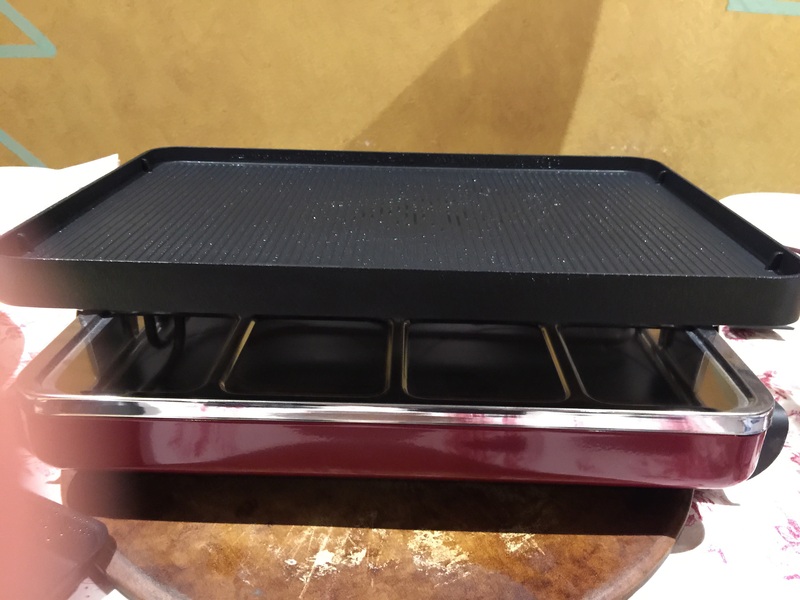 This was our Christmas gift to each other, as we both love to cook. I love taking recipes and mixing and modifying them to my own tastes. 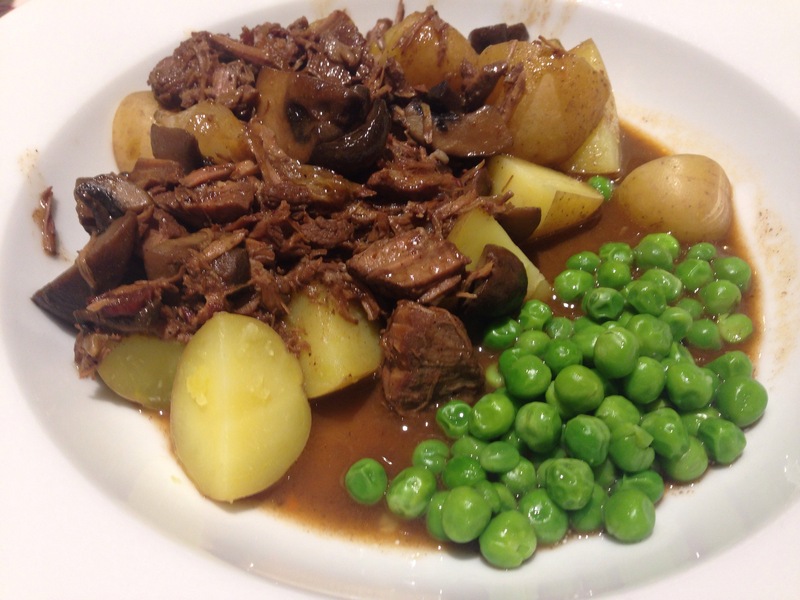 Yesterday Jeff and I worked together in the kitchen to make Julia Child’s beef bourguignon. There are several steps and ingredients and it took several hours just to do the preparation work before bringing all the parts together. We browned the meat, chopped and fried bacon, onions and carrots. 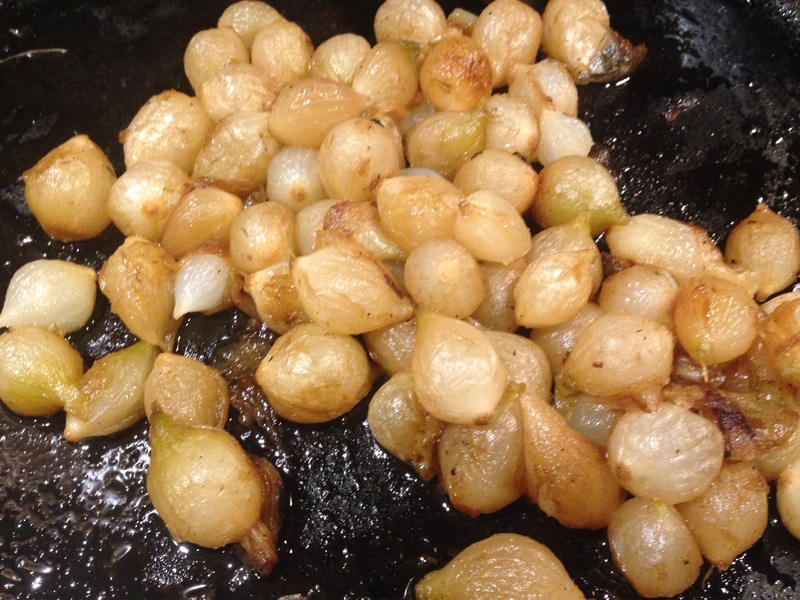 We caramelized pearl onions and browned quartered mushrooms. We added the wine and beef broth to cover the beef and then let it blend and simmer. This morning I took the pot out of the refrigerator and cooked the stew for three hours at a low temperature to tenderize the beef. The entire house smelled so delicious. I wish there was a way to broadcast smells! After the beef was cooked, the beef and bacon were separated from the broth and carrots and onions. Then the broth was strained through a sieve and boiled until it reduced and thickened. Then I added the beef and bacon back to the pot and layered the pearl onions and caramelized mushrooms on top and then poured the juice back into the pan and simmered again. Buttery small yellow potatoes were boiled and peas were warmed with butter. All the pieces were finally ready. Friends came over to join us for dinner and we all enjoyed the food and company. I am content. Do you love to cook? What do you like to make? Do you have a favorite tool? Tonight we are all snuggled in together and watching a movie. I love that we’re all home and just doing nothing but sitting in the same room. It sometimes takes going away to appreciate the simplicity and comforts of home. How do you like spending your vacation time? We have another week off from school and I’m curious what we’ll do next, as we don’t have any definite plans. I think most of us are tired from being in the car all week, but who knows where our dreams will take us. I hope you enjoy this last week of the year and I wish you enough. Today I made a big pot of soup for my family. Soup is the ultimate comfort food to me. I have been gone for over a week and am happy to be home. I enjoyed my family and friends and all of our celebrations and travels and today I was happy to wake up in my own bed. I played tennis this morning in the 50 degrees of cool, crisp sunshine. I was so happy to be out exercising again with friends, and moving my body. I forget how important exercise is to me and was thankful to be back on the court again. Afterwards, I filled up a shopping cart at Trader Joes with good eats for the next few days and ingredients to cook some tasty meals. Christmas, just the five of us and then Juliana and I decided to cook dinner together. I am so thankful that my kids like to hang out with us and I choose to enjoy every moment with them that they give me. Christian even helped me make the soup and this made me happy too. 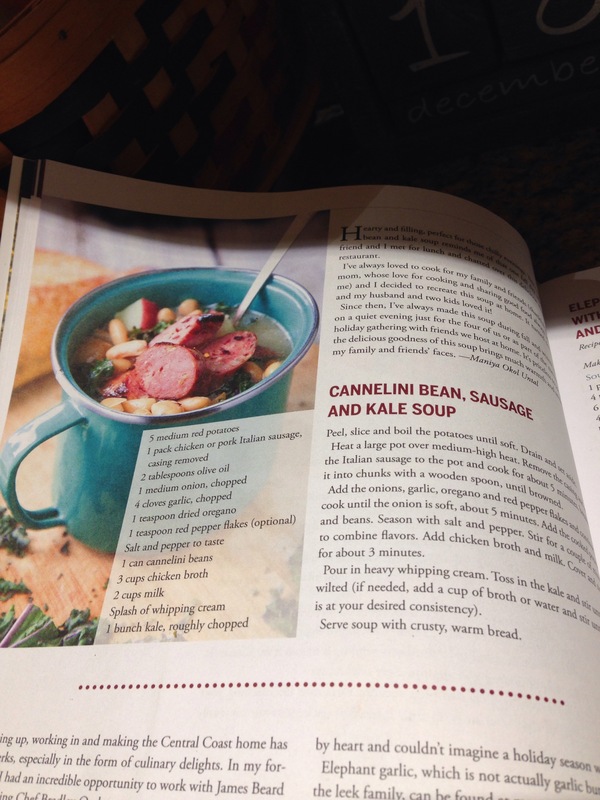 We made a kale, white bean and sausage soup that we saw in a magazine that we picked up in San Luis Obispo yesterday. Juliana made a chicken fried rice too, because that was what she was craving. She typically prefers baking and I was just glad that we were working side by side and chatting about life together, while we cooked. I am teaching her how to be flexible with a recipe and how to modify them to her own tastes and available ingredients. This is a challenge to her as she is a rule follower and likes to be precise. I think this is why she prefers baking and I don’t but I think she actually enjoyed creating a tasty dish on her own. I am so proud of her. Home sweet home. I love it here. 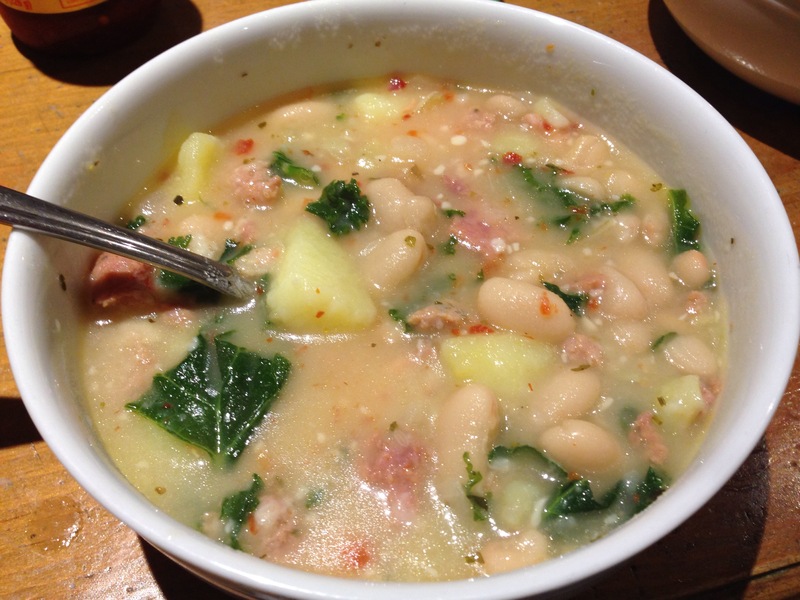 What is your favorite comfort food? What do you love to do at home? This piece of artwork caught my eye tonight, hanging in a shop in my favorite SLO town. This represents mindfulness to me and what it means to be present. We have this moment. That’s it. Let’s enjoy what we’ve got, right now. Whether we want to or not. This is it. 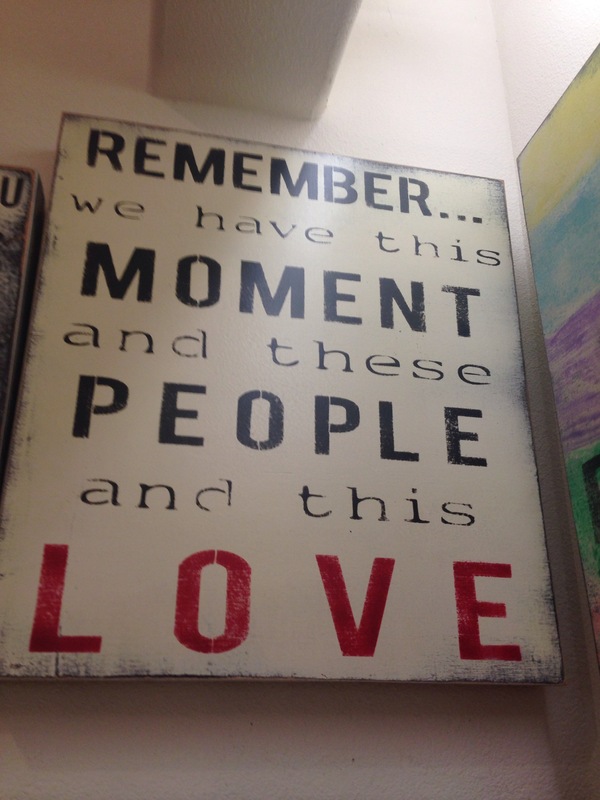 We have these people that we love and love us and we choose to share our moments together. We get to celebrate. And not just at Christmas or Hanukkah or another holi-day that is meaningful to you. Remember. Happy day after Christmas, BeLoveRs. Our tradition is to not celebrate traditionally. This frees us from many of the expectations that usually are associated with a major holiday. Some things we carry from year to year but we are not expecting things to be done the same way and at the same time and with the same people. This morning Santa did arrive and the littlest one was filled with excitement and was the first one up before 7 am! The older two acted like teenagers and were quiet and still sleepy. 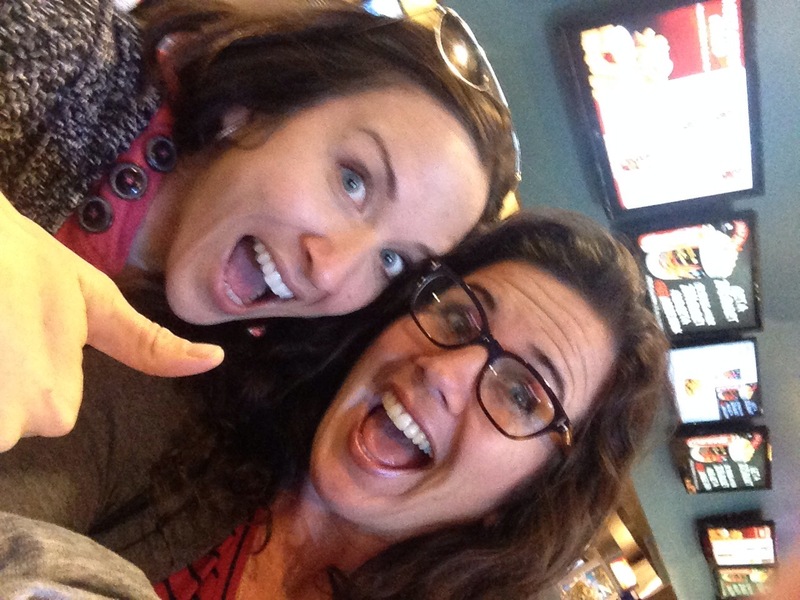 My sister and I snuck away together to see a movie. This felt like such a great gift to share some quiet time, a coke and popcorn. We were truly happy to sit side by side and to share an experience together, all by ourselves. I felt badly for the kids that were working though. We came home to hang with the rest of the family and everyone had different ideas about how to spend the day. I am very idealistic and the thought of everyone sitting and looking at screens, even though enjoyable, rattled my idealism. I wanted us to be together, doing something but it was hard to sway everyone in the same direction at the same time. Luckily the sun setting was a forcing function and we decided to make the trek over the hill to Malibu, all together to watch the magnificent sun set again yet another day. The beach is my happy place. Once I get out of the car and step in the sand and hear the ocean, I am like a child on Christmas morning. Hmm…or Christmas Eve. We saw the sun set and played on the beach before heading back home for dinner. Jeff grilled out the food my mom prepared for us and my extended family joined us for another spontaneous, fun great evening together. 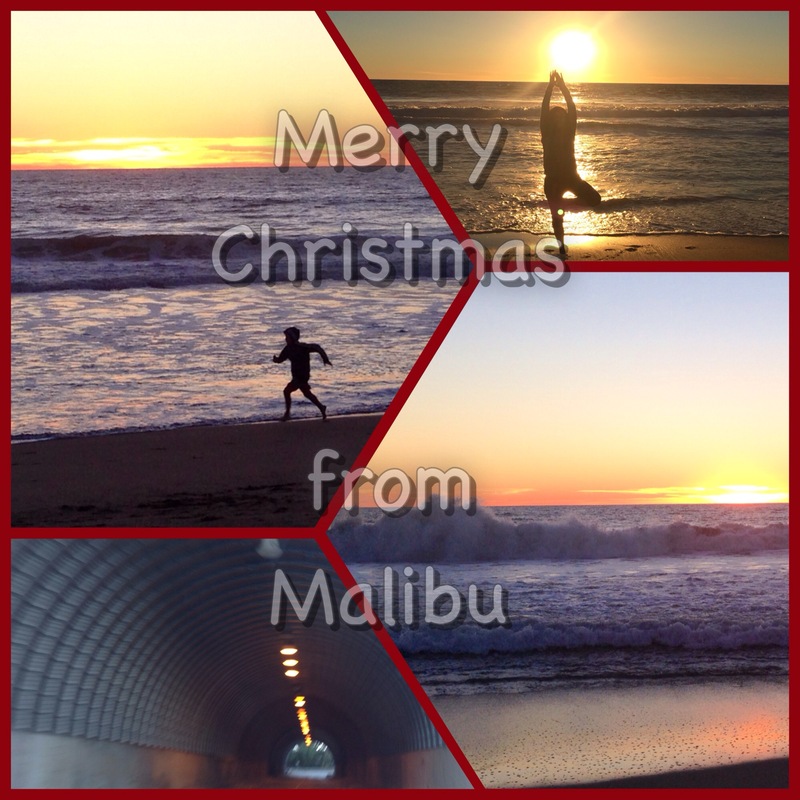 I hope your day was merry and bright.